*America's Horse Cares is a grant program through the American Quarter Horse Association's Foundation which provides grants to certified or accredited therapeutic riding programs to benefit challenged or special-needs individuals. Also included is equine-assisted activities and therapies assisting veteran programs addressing PTSD. America's Horse Cares is near and dear to the Kimes Ranch and CR RanchWear families. 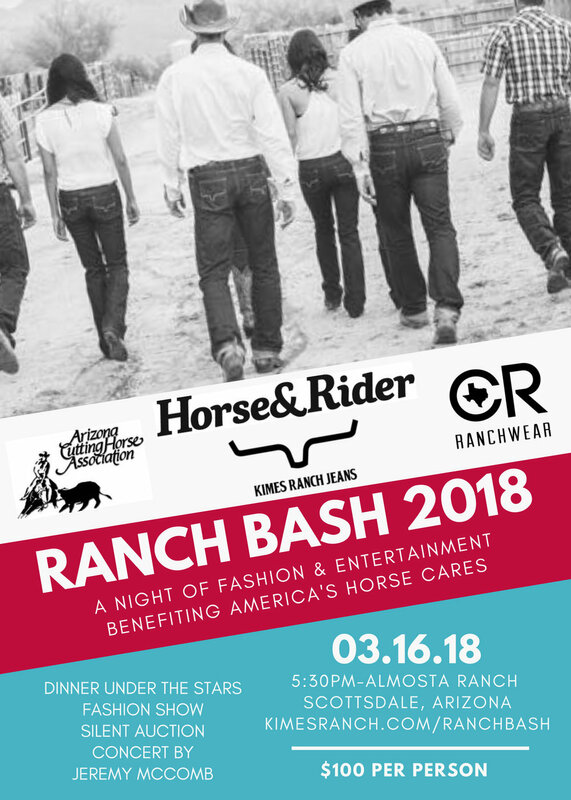 It was founded by Kimes Ranch President Matt Kimes' mother Peggy Kimes and CR RanchWear Marketing Manager McKenzie Parkinson's mother, Becky Dunning both of Scottsdale, Arizona. Browser not supported: This browser does not support PDFs. Please download the PDF to view it: Download PDF.